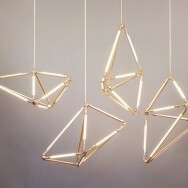 Illuminating geometry. 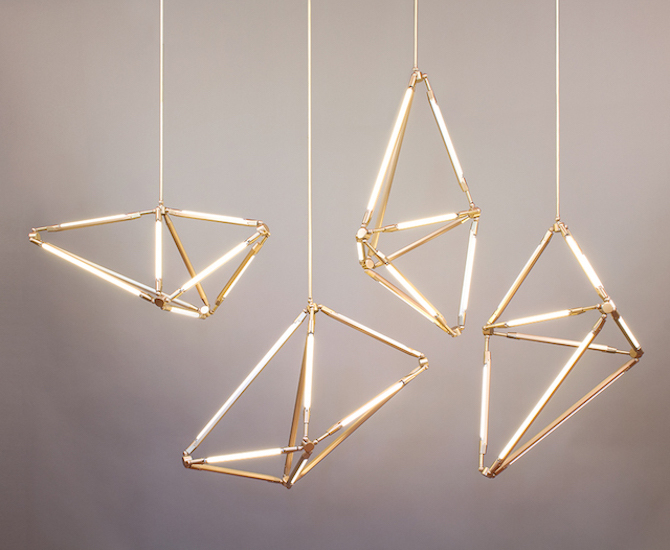 Brooklyn-based product designer Bec Brittain creates sculptural lights. Mostly consisting of thin LED tubes that are attached to unique structures. 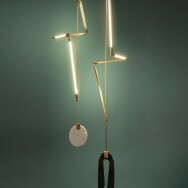 Small light installations that possess a calm and sophisticating elegance. 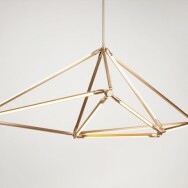 She has been running her own studio specialising in high-end lighting since 2011. 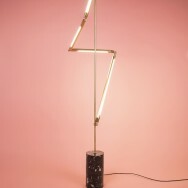 Each light is meticulously made in New York, using a variety of techniques, balancing reflection and transparency as key elements in her designs. Get it on!